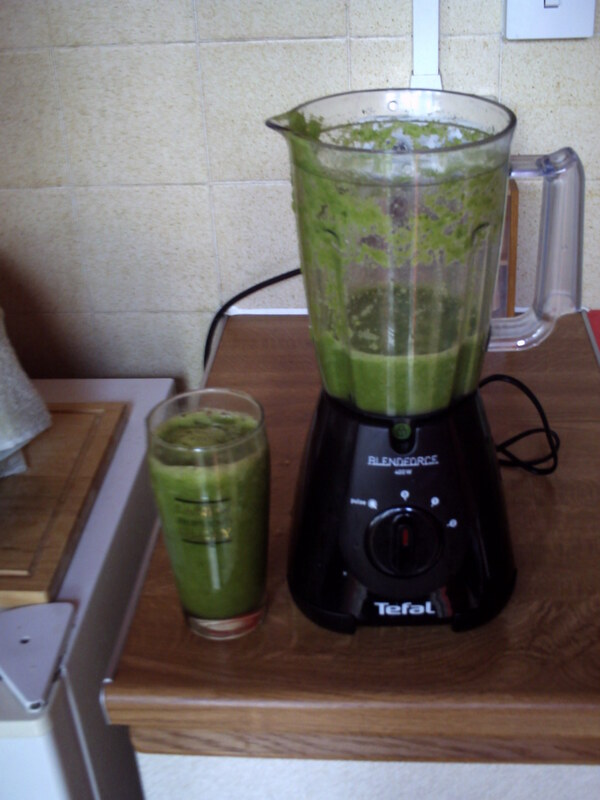 Having heard so much about the benefits of eating raw food I finally got around to investing in a blender. It took me months to spark into life, but about four weeks ago I finally took the plunge. Before I go into the first of my recipes I will give you a bit of information with regard to choosing your blender. Strictly speaking you can use any blender, but you will be better off being just a little bit selective. Most blenders have three blades, but there are some that have five or six; and there are also various speed settings. Prices range from very cheap (less than a tenner) to very expensive, but it really depends on what you want it for. As I will very rarely want to use mine for anything other than raw juicing, I went for the Tefal Blendforce at £29.99 from Argos. It only has two-speed settings plus a pulse setting, but it has six blades that really get to grips with your ingredients. There is also a Philips five blade blender for a similar price that I have heard very good reports about. So here is the first raw food recipe of this new series. Your first ingredient is always water and there are no specific amounts when adding your fruit and vegetables; simply throw in whatever you want. If you are thinking, that judging by the photo, the juice probably tastes as disgusting as it looks, you would be exactly right. However, there are a couple of “secret” ingredients that I add to all my juices that don’t only make them more palatable, they make them taste delicious. Added to the above recipe is a good-sized chunk of fresh root ginger, an apple and a squeeze of lemon juice. You can also add a pear or two if you want. It makes the finished product sweet, spicy and very palatable. There is nothing complicated about the process either, you just throw the ingredients in the blender with water (adjust the amount as you go along), whiz them to death and enjoy the experience of drinking raw food juice! Watch out for my next raw food recipe! Saw the ingredients and thought … ooh, I’d add ginger for a start, but apple/pear and lemon juice as well was a smooth move, Mr Holmes! Nice one!